My favorite book in the bible says: “There is a time for everything, and a season for every activity under the heavens: a time to be born and a time to die, a time to plant and a time to uproot, a time to kill and a time to heal, a time to tear down and a time to build…a time to love and a time to hate, a time for war and a time for peace” (Eccles 3:1-8). It is a time to love; and a time for peace. It is a time to settle disputes; and turn swords into plowshares, and spears into pruning hooks so none will take up sword against the other nor train for war anymore. Whatever conviction, faith, and principles people have, they have to be marinated in love; otherwise they will be dead. A Facebook friend has lately posted an apt quote on his wall that is attributed to Mrs. Parnell: “I don’t care how much you know until I know how much you care.” Surely, the two must go hand-in-hand, and should not be divorced. The journey of bringing people together starts with a genuine attempt to understand people, and to creating an environment that is conducive to mutual respect and tolerance. The truth, as the Bible commands, must be spoken in love; for anything, as the Quran says, is beautified by kindness and marred by its lack. A culture of empathy that puts people in their brothers/sisters’ shoes is necessary. There is nothing more important to victims than the acknowledgement of their suffering. The older I get, the less interested I’m in proving or disproving anything. This does not mean I don’t care about the truth for it is the foundation of every worthwhile human endeavor; but to underscore the importance of understanding. It is what people should aspire and work for. It is understanding that will bring them together; it is what brought ato Kidane Alemayehu and me closer; and work for a noble and lofty goal of ushering in a new age of peace and development in the Horn of Africa. 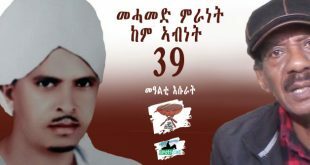 If my father was alive; he would have been a little older than ato Kidane Alemayehu, but the prevailing political circumstances between Ethiopia and Eritrea would have made it almost impossible for the two to have any sort of relationship. I know my father was an honorable man and so is ato Kidane Alemayehu, and perhaps their understanding of virtue and faith might have enabled them to transcend their difference and become friends. My father and so many of Eritrea’s best men and women died and gave the best years of their lives to the liberation struggle so many Eritreans like me can have a normal life; and their sacrifice could only be meaningful if Eritreans live a life of normalcy that they were deprived off—a life dedicated to mending fences and not destroying them; a life that lifts people up and not put them down; one that fosters comity and not enmity. I’m the poster-child of Eritrea; and there is nothing I wouldn’t do to safeguards its hard-earned independence, and honor the enormous sacrifices made during the long liberation struggle. It is the fate of my generation to be entrusted with this huge responsibility. We were taught by selfless Tegadeliti, some dead and others alive. Their only wish was that the younger generation of Eritreans be educated so they can be the ones to live their dreams. The least I should do is try to live up to that legacy, and I’ve every intention to continue doing so. 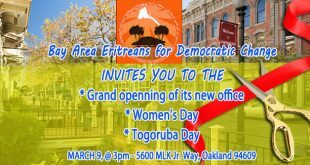 I was born in the year the ELF was celebrating its 9th anniversary, and the EPLF was just being formed; the two organizations that effectively rallied Eritreans to rise up in arms and fight for their independence. I had the unenviable fate to experience, first-hand, the hardship and suffering Eritreans went through. In 1975, when I was at the tender age of five, Ethiopian soldiers came into my village and committed horrendous atrocities that came to be known as the Wekidiba Massacre. (Please read Fr. 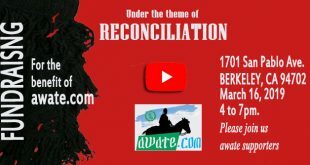 Athanasius’s/ Dr. Habtu’s Gebreab’s book, Massacre at Wekidiba, and my review of it at my column http://awate.com/massacre-at-wekidiba-a-survivors-review/). My family and I were among the few lucky ones who survived the massacre and were able to flee their hometown to seek refuge in neighboring villages. Internally displaced, we spent the next two years in SeHarti where we had to seek shelter in the mountains of Alla every time the Ethiopian military convoys pass through the village. The convoys were notorious for destroying and looting properties, and even worse, killing and abusing people. The expression “Amhara ymetsu alewu: hdemu” (Run away, the Amhara are coming) is deeply embedded in my memory. It was our negarit, our Tornado and Hurricane Warning, that cautioned us of the impending and inevitable carnage and looting. When the ELF liberated Mendefera, my father, an ELF Tegadelai, known by his younger comrades, as Ayay, made the necessary arrangements for us to come and settle there. It was in Mendefera where I was able to continue my first-grade education, and it is the city that gave me one of my fondest memories of Eritrea. The Ethiopian air-force subjected this small and beautiful provincial city to a daily bombardment; people were forced to change day into night. During the day time, we sought shelter, in hastily and poorly built shelter-bombs, bridges, and the dense trees of Mai-Tekhela where St. George School is located; tried to do other life’s necessities at night. I vividly recall an incident that brought us close to death. My late brother, Dawit, was taking us to the forest of Mai-Tekhela when we were caught off-guard by the Ethiopian planes which did not hesitate to shoot at us. We got off the road quickly and took shelter under a small tunnel, and my brother hurriedly shoved all of us inside and was the last one to get in after shrapnel hit his leg. He carried that small scar to his grave; it was a constant reminder of how close we came to being annihilated. We stayed at the Azenda neighborhood, but my school, Islamiya, was at the other end of town, the bloko Asmera. Imagine a child going to school from 7 pm to 11 pm. The surreal abnormality was only mitigated by the fact that Eritrea was a place where “it took a village to raise a child.” Every Eritrean was our protector, and we never felt insecure. My first-grade friend, Ibrahim, who taught me few Saho words, was my nocturnal companion. Our sojourn in Mendefera came to an end when the Ethiopians, with the help of the Soviets, Cubans, and many others, drove the ELF and the EPLF out of the liberated towns; and that was when my family and I finally fled Eritrea for good. The story of modern Eritrea is my story and I’ve all scars to show for it. Like all Eritreans of my generation, I know many great Tegadelti, young and barely out of high-school, who took the time to play with us, their younger siblings, and inculcate in us the love of country and help us understand the importance of the noble ideas that they were ready to die for. In fact many of them have heroically fallen in action; some are living with amputated limbs, and even worse, some are living with amputated souls to see their country being betrayed by the very comrades they fought alongside with. This is the history and this is the reality of our being, and I’m deeply rooted in it. But it should not constrain me from deciding where I should go and how big I can dream. The destiny of Eritrea and the destiny of my people are closely interlinked with the region and its people, and it is this realization that I believe should inspire all of us to work towards regional integration. Rectifying the situation in Eritrea should be Eritreans’ top priority; and working towards regional integration reinforces and compliments this important undertaking. “To a degree, understanding the history of the Red Sea, and its commercial and political importance is at the heart of the perceived threats and conflicts in the region. One way to amicably resolve this lingering conflict is to develop a comprehensive regional strategy that will eventually lead to regional integration. The people of the Horn of Africa have more in common than any other region in sub-Saharan Africa, and these transcendental linkages of history, commerce, and culture should be the linchpin of a future regional integration. The trust deficit, among the nations of the Horn of Africa, has made any kind of meaningful collaboration as elusive as a mirage in the Danakil Deserts. 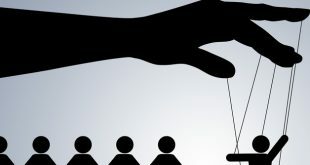 A new chapter based on comity, mutual respect, and most of all, enlightened self-interest must be written by a new breed of leaders determined to change the status quo. More importantly, the new leaders must be imbued with big and inclusive ideas, which envision a limitless world beyond the artificial boundaries of a bygone colonial era. Nations and boundaries are tools designed to help so people can work on the perennial concerns of peace, justice, development and human dignity. There is a need for all concerned parties to recognize the Biblical exhortation, “Do nothing from rivalry or conceit, but in humility count others more significant than yourselves. Let each of you look not only to his own interests, but also to the interests of others” (Eph 2:3-4). All of these are possible if people will only muster the courage to see their past and current demons eye-to-eye. The truth is that no war in human history has been fought without the demonization of the other side. It is not the universally used tactic of war and mobilization that should be our primary concern, but the causes that give rise to it and the justifications that sustain it. The Ethiopians have demonized Eritrea’s just and heroic struggle, and Eritreans have done the same, but it is preposterous to give them moral equivalency. No Eritrean has gone to Ethiopia to conquer or subjugate Ethiopians or deprive them of their linguistic and cultural heritage. The best way to sanitize the ugly past is to ensure it never happens again, but this cannot be accomplished by denying it. Acknowledging it is half the victory. It is time we catalogue all the wrongs committed so they can serve as cautionary tales. I remember when the “border war” broke out in 1998, and the former Eritrean Ambassador to the US, Mr. Semere Russom, a man who can spit words beyond the legal speed, came to Dallas for fundraising; I objected to his language that demonized the Tgirayans, and I was subjected to some ridicule. I didn’t support the war and my rationale was simple: it was a war of choice. Besides, Weyanai meyto, Warsay meyto: iti Hazen dey natey iyu. Whether a Weyanay or Warsay die, I will be the one to mourn them.) As an Eritrean who is very proud of his Habesha, Hamasenay, and Tewahdo heritage, I’m incapable of not loving myself; and therefore I love the Tigrayans. To reiterate what I’ve always said: if I want to understand a Tigrayan, all I need to do is look at myself in the mirror. 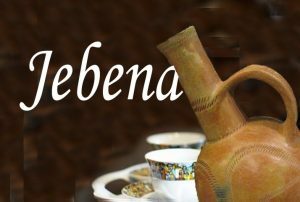 I love, respect, and cherish my three thousand years of Habesha history, its legends, myth, fables, and folktales and I refuse to apologize for it. I am a Habesha whose home is Eritrea and that identity is as sacrosanct as it can be. Some of you might have rightly criticized me for not showing the same unequivocal love towards the Amhara that I’ve for the Tigrayans. First, the Tigrayans have not done us wrong; in fact they were Eritrea’s best ally in the struggle, and the wrong detour that was taken by Isaias and Meles during the “border war” will be easily corrected when we start empowering people. The Amhara are Habesha too and that is why, as children, we also used to sing: iti qedem si Tlyan ygezana nay lomi gedede Habesha kemana. (In the old, we were ruled by the Italians but what is even worse now is that we are being ruled by Habesha like us.) This was to lament the right of self-rule that eluded us. Forgiveness and reconciliation is an evolutionary process; and people must be allowed to take baby-steps. Perhaps, my friend, ato Kidane Alemayehu, was right when he described me as a “work-in-progress” in our early meetings. But, I’ve to say this: acknowledgement of suffering at the hands of Amhara, the Amhara monarchy or the regime, would greatly expedite the journey of reconciliation. There are even some Amhara Ethiopians who have the audacity to portray Haile Selassie as a benevolent elder statesman who did no wrong in Eritrea. Insult over injury! Tell it to the thousands of Muslim Eritreans who had to flee their home even before yours truly was born. I understand that someone’s hero is someone else villain; but have some sensitivity to those Eritreans who experienced his oppression and cruelty first-hand. For starters, I would encourage all Amhara Ethiopians to ask themselves who the Tigrayans, the Ormoas, and the Ogadenis were fighting against? The Eritreans, Tigrayans, Oromos, and Ogadenis are not that stupid to blame the poor peasants of Gondar, Gojam, Wallo or Shewa, but they had to identify an enemy that was the cause of their real and perceived suffering. Being Amhara was the gold-standard of Ethiopianness, and speaking Amharic, with its evident glass-ceiling, was the only ticket to be part of the system. None-Amhara Ethiopians could no longer tolerate their relegation to a second-class status in their own country. The Tigrayans were even prohibited to spell the name of their region as Tigray; a phenomenon that was rightly characterized as “Politics of Y” by the historian Alemseged Abbay. Demonizing a whole group of people is certainly wrong, but history shows how effective it is to mobilize the masses. It is one of the oldest tricks in the book. 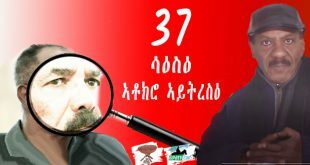 Casting the enemy as Amhara might have been wrong but certainly not the grievances and the struggle that emanated from them. Truth and reconciliation go hand-in-hand and this is where the rubber meets the road. History matters; and that is why we need responsible and thoughtful people to come to the forefront and lead. But, when everything else fails, enlightened self-interest should guide regional cooperation. The Horn of Africa is one of the least developed and most conflict-ridden regions in Africa. No one benefits from the continuance of the status quo, and we need to change and think differently. A final word to those who are quick to judge and defame others, I say a bit of self-restraint and giving people the benefit of the doubt is a good thing. Even if you think I am a “hater of Amhara” and a “bigot,” which I am not, you should not look a gift horse in the mouth. With an enemy like me, you don’t need friends. I wish the many Eritrea-hating and bigoted Ethiopians would have the wisdom to support Eritrea’s cause. And to those who have expressed outrage at non-existent bigotry; although misplaced, I encourage you to hold on to it. To set the record straight, when Aya Kidane Alemayehu and I call each other, I reciprocate the courtesy and say, “indemen allu.” I’ve learned to enjoy Amharic dancing, but not necessarily the music, although I could see myself enjoying traditional Amharic music. Don’t read too much into it, the only music I listen to when I am exercising is Eritrean and Tigrayan; I barely listen to even American music. Amharic is one of the closest two languages to Tigrinya; but, narrowly defined, it is not mine, and as such I’m not obligated to love or cherish it. The best I can do at this time is remaining neutral as I do with Swahili or German. If there is a need for me to learn Amharic or Somali, I will. Languages are tools of communication and they are inherently good; but the danger lies in the politics of language. It is the politics of the Amharic language that Eritreans revolted and fought against and for that no self-respecting Eritrean will ever apologize. Nothing animates me more than justice and I am always supportive of any legal and peaceful means that serves it. I don’t think there is any statute of limitation that nullifies any desire on the part of victims to seek due compensation for their suffering. Good one Mr Semere. I loved it. For starters, I would encourage all Amhara Ethiopians to ask themselves who the Tigrayans, the Ormoas, and the Ogadenis were fighting against? The Eritreans, Tigrayans, Oromos, and Ogadenis are not that stupid to blame the poor peasants of Gondar, Gojam, Wallo or Shewa, but they had to identify an enemy that was the cause of their real and perceived suffering. Being Amhara was the gold-standard of Ethiopianness, and speaking Amharic, with its evident glass-ceiling, was the only ticket to be part of the system…. 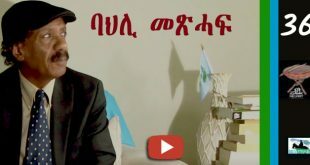 Mr. Semere botched his call/effort for Eritrea-Ethiopia reconciliation by not avoiding the word “Amhara”, or treating it with clarity at the level of what it means to ordinary Ethiopians (and not Eritreans). 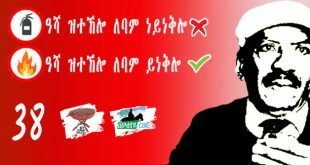 He could have denied detractors the opportunity to introduce toxicity into the discussion on ER-ET reconciliation by characterizing Eritrean nationalism as equivalent to hatred towards Ethiopians in general and the Amhara nationality in particular. Mr. Semere also has a lot of room for improvement in clearly describing the cause of Eritrean nationalism— national and individual freedoms based on justice and law so that the people could enjoy/improve their lives in peace. The basis of Eritrean nationalism is neither bigotry nor hatred of the “Amhara” or the Ethiopians. He failed to make that point very clear. Eritrean nationalism is not based on an indiscriminate hatred of Ethiopians or “Amhara,” but regarded all known or suspected agents of the oppressor State of Ethiopia as enemies of Eritrean national and individual freedoms, and treated them accordingly. Reciprocally, agents of the Ethiopian State also treated any Eritrean known or suspected of working for the cause of Eritrean national and individual freedoms as an enemy of the State. 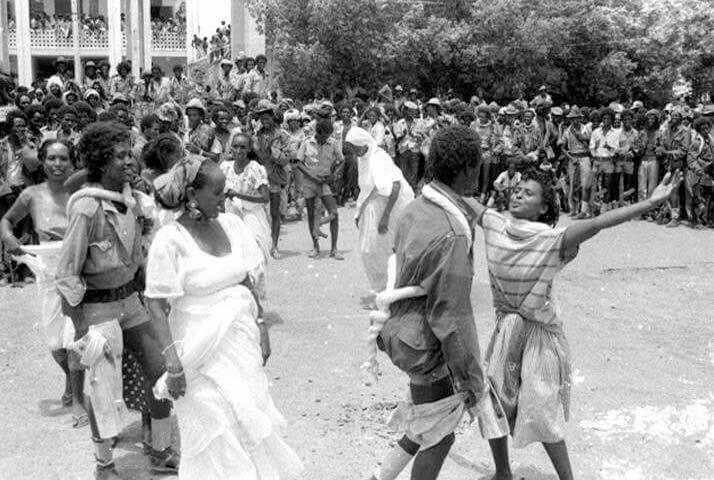 Eritreans normally stopped regarding even agents of the Ethiopian State as enemies the moment they were disarmed of their means of oppression. Another proof is that once Eritrea gained its freedom, Eritreans abandoned all “enmity” or “hatred” towards “Amhara” or Ethiopians. I encourage Mr. Semere to work at it again if he is going to be an effective agent for peace. I suggest that he re-reads John Sorenson.(1993). IMAGINING ETIOPIA: Struggles for History and Identity in the Horn of Africa. Rutgers University Press. I don’t see anywhere else in the world where a definition similar to Alex de Waal’s applies and an “ethnic group” is defined by a political ideology. “The term Russian applies not just to the Russian ethnic group, but those who believe in a Romanov Monarchy” or “The term Magyar applies not just to the Hungarian ethnic group, but those who believe in the Austro-Hungarian Empire” or “The term Arab applies not just to the Arabic speaking ethnic group of the Arabian peninsula, but also those who believe in the political primacy of the al-Saud family”. It is despicable that Human Right advocates such us de Waal would consciously be part of the victimization of a people. Of course he is most likely just parroting what the enemies of the Ethiopian State have been telling him. Namely, that Ethiopia is a fake country that exists only in the mind of people whose delusion is marked by the fact they speak Amharic. Now, you saw a second one. And, please, restrain yourself from believing that just because you have not seen one does not mean that it does not exist. Why are Ethiopians with Eritrean heritage weird. Does that make sense at all. Citizenship is by choice not by ethnicity alone. Considering Eritrea was part of Eritrea for nearly 50 years and any Eritrean was considered an Ethiopian by Ethiopians even prior to that, there are many many Ethiopians who claim their lineage to Eritrea. Why do you want to insult them. The thinking of Eritrean nationalists is beyond me. Do they have to make the same choice as you did to be considered normal. Ya!!! Hypocrite would have been a better word although there’s nothing wrong with calling someone with moral deficiency a weird. I do not see how I took your statement out of context. Isn’t your remark about Ethiopians of Eritrean heritage a blanket statement. These preconditions are legitimate as far as normalization, which I fully support to extent of Economic integration, with Ethiopia concerned. Now,since the current regime in Eritrea is illegitimate,the role of Ethiopia should only be help Eritreans to clean their own house, so it can deal with future democratic Eritrean government. But instead the Ethiopian government is experimenting a “Shock Doctrine” on Eritreans shamelessly to gain some concessions, and it is failing miserably. If you think it is morally acceptable for Ethiopian government to use the suffering of Eritrean as leverage to purse its interest, you must be either Neo-Andenetist, or Ethiopian with Eritrean heritage(the weird ones). In short, PFDJ # Eritrea. Zegeremo, shenkolel abilka adkimkani, yedikmka de’a ‘mber! “morally acceptable”, “neoandinet”, “shock doctrine”, “Eritrean heritage”, “[Ethiopia] failing miserably”…All these loaded phrases and jargon are stuffed in one paragraph. Morally acceptable…I thought you were pushing preconditions. Moral responsibility is expected and not demanded. Neoandnet…If I only know it what it means. “Shock Doctrine”…If we are referring to the same concept, PFDJ is perfectly applying it on Eritreans, not Weyane. Eritrean heritage/Ethiopian heritage…for this I have a nice prelude story. I heard it from friends. There was one Ethiopian artist being interviewed on radio. The interviewer asked him to confirm a rumor if he was 100% Gojjame (this is like the other guy from Eritrea who foolishly declared that he was a pure Eritrean bred). So, what interested me is the response from the artist, and here follows what he said: “how can one be ever sure of as to who and who passed by the house of his grandmothers to claim any purity of the bloodline he belongs to? !” I love this line. So, I don’t know if I have a heritage of this or that, and I care less. I often hear of PIA of having a Tigrian heritage. It never added or subtracted any micro-gram on my perception about his Eritrean identity. lol Zegeremo, good job now move on to paplion. we have three women in here, paplion, Yodita and Hayat all of them weyane lovers. i am wondering if they got Tigray husbands. I have never seen them defend Eritrea. All what we do is in defense of Eritrea. It is for Eritrea to become normal and peaceful so that the Eritrean youth do not have to run away from it; so that your parents can get back from Ethiopia to Eritrea where they love to be and the belong to; so that you can do some of your summer vacationing in Eritrea as well, in stead of doing it in Addis and Sodere every year all the time. Please, control your mouth and don’t be newram-sidi. Feminst attack is very low-life act, uncivilized and uncultured. If you can’t handle our ideas, call it a day. But, the issue of husbanding and wiving is not what brought us here. Keep the pace of your brain, know your limits, and do not exhibit your low-sides. Well said but I don’t think your message will cross to his self-indulged thick mind. He has nothing to say except “wayane lovers.” He knows wholeheartedly that his parent could not and would not live in our messed nation. He doesn’t know that the fight is to bring peace and normalcy for Eritrea ans its people. So you agree that “the regime in Eritrea is illegitimate”? Or was it your conscience taking over for a split second there? Obama is trying to be like PIA. He is finally showing some resolve and backbone by saying NO. No negotiation until you pass a clean CR. Much like what PIA tells Weyane. No dialogue before demarcation. So, Obama is learning his lessons from PIA…Is that what you wanted to say? entai me’Atu deqey!? Obama is at stand off with his congress of an opponent party about budget and politics after a long negotiation and efforts of compromise failed to bear fruits. Does PIA have an opponent party and congress? Does he even ever table and debate budget resolutions? Obama is using a constitutionally induced veto power. Does PIA have any constitutional provision to invoke? Although disagreeing, Obama is still talking to his opponents. Does PIA talk to his opponents over any disagreement? There is an XXXL-size yawning difference between the two. And how is your sense of judgement in daring to compare a giant world leader with a little guy who can’t even match his African peers? That’s passe! DIA now is saying this to weyane “Let’s forget about the stupid border issue, you give me Mega watts and will give you Assab permanently. The Eritrean people is too beat up to care”. DIA may have have a lot of things that keeps him in power, but backbone is not one of them! What is in Semere first hand experience and what is in his mind is the reality. He is calling by its name Chinese proverb: “The beginning of wisdom is to call things by their right names.” a spade a spade. 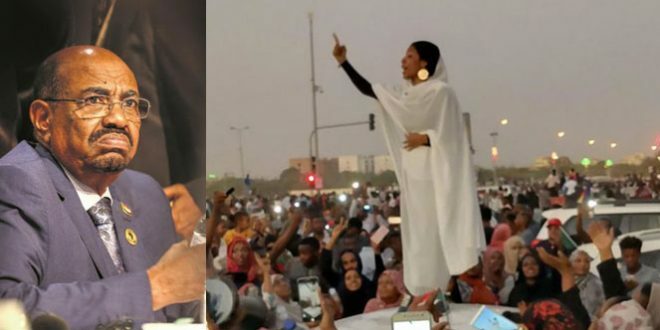 Eritreans are really proud and of how they’ve suffered is well known, and they’re really proud of how they’ve stood up and fought colonizer Ethiopia fascist regime. That sapped Eritrea in human lives, economically and psychologically, that does make us any special “‘We’re normal people, we’re like you. We’re like everybody else, which also cost Ethiopia tremendous blood and treasure. It is good to hear Ethiopia is progressing economically not to long Ethiopia suffered through several bad droughts, People starved by the tens of thousands. The horn of Africa needs peace and reconciliation in order to develop. 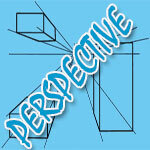 “What is in Semere first hand experience and what is in his mind is the reality. He is calling by its name Chinese proverb: “The beginning of wisdom is to call things by their right names.” a spade a spade. I am an Amhara and I was not in Eritrea chasing Semere. He is blaming me, my father who was in Derg prison at that time and my brother who was murdered by the Derg as his tormentors. By the latest count a third of the Ethiopian population. – what is the realty in that. It is absolutely offensive and even not worthy of discussion. I am surprised you keep defending his actions. Isayas Afeweki is from Hamasien I am told (forgive my ignorance if that is not the case investigating peoples ethnicity is not my expertise) – So should Semere be blamed for that. Of course that should be absurd and Semere will be the first to protest that. Yet he blames Amharas for all his misfortunes. Where did he call spade spade. You keep glossing over his demonization of the Amhara which started with his first article and topped it with even more offensive remarks in his second. If you do not see that what can I say. So did Ethiopians. I am not here to tell Eritreans what they should or should not be proud of. If Eritreans are proud of their actions during the war good for them. Ethiopians are also proud of their struggle for democracy and justice. This is not a pride match. I can say more about this and Eritrean nationalism but that is not the subject of discussion here. I am not here to brag about the success of Ethiopia. In spite of small progress in some areas, the nation is faced with enormous challenges. I worry more about its future than brag about the present. I never brought this issue to the discussion. Eritreans on their own terms. He wants us to swallow Eritrean nationalism as a whole and sympathize with it. This is not reconciliation this is capitulation in the name of reconciliation. I have seen many talkers like Semere who talk noble words peace justice and reconciliation but underneath they serve hate and revenge. We Ethiopian have been naive for long towards Eritrean nationalism and have traveled the appeasement road at the end we always find the same nationalist ideology. That is not real peace that is capitulation. We will not do that again. To tell you the truth, I do not know how one can make peace and reconcile with a racist. 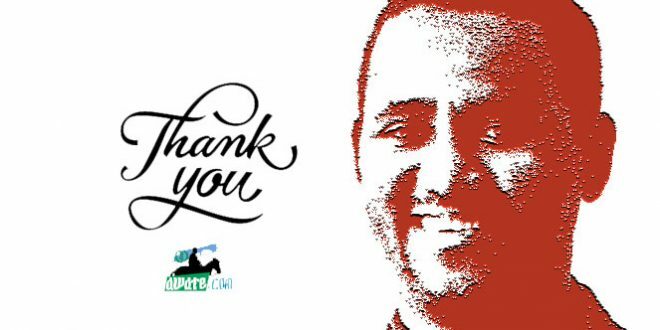 I truly appreciate your take and give opinion and comments and i understand from where you are coming. I truly do not see Semere article the way you describe it and negate the central theme of the article which is peace and reconciliation .let just leave it there. For many of us extended absence abroad, away from home and the region, made it difficult for many of to gain any clear perspective or a vision of the future of our region, Eritrea, Ethiopia and the horn of Africa . The picture is ever confusing and incoherent as so many forces are at play without a discernible trend or a clear vision. Chaos is more the befitting description. Accordingly, and as relates to my small comments writings, I decided to devote some time and write frequently on politics, especially as that relates to our region of Eritrea home land, Ethiopia and the horn of Africa comment political analysis and economic subjects; and not touching more on literary and minor philosophical topics as there in none to say; however, I hope to devote time to chip in, miniscule and insignificant as is, to developing a new paradigm that could contribute, even very slightly, to a change in the epistemology that governs the region mind.